If you hoped pro-abortion legal analysts’ reaction to the Supreme Court’s Texas abortion ruling might at least be a cut above the reactions of garden-variety pro-abortion bloggers, think again. At LawNewz, Elura Nanos presumes to dismantle three “really, really lame” arguments Justice Clarence Thomas put forth in his blistering dissent from the majority’s judicial malfeasance. However, I don’t think anyone will be shocked to learn that the only lame arguments are hers. Abortion law is an innately complex topic, because the nature of pregnancy is unique in its evolving relationship between an individual woman and another potential human being. Not really. Abortion precedent may be complex, but that’s only because the Supreme Court started us on a such a convoluted course by deciding it was a constitutional right based on something other than the straightforward text of the Constitution. Properly understood, the Constitution’s answer to abortion couldn’t be simpler: all human beings (which the preborn are—actual, not potential) have the right not to be killed. The constitutionality of medical regulations is straightforward, too—according to James Madison, the federal government’s powers “are few and defined,” while “those which are to remain in the State governments are numerous and indefinite.” So Texas should generally be free to make whatever laws are not forbidden by something the Constitution specifically says. NANOS: Really? The Supreme Court is operating “at the behest” of abortion clinics and doctors? That’s kind of obnoxious. The millions of liberty-loving Americans who fight for abortion rights do so as advocates for women, not for clinics. The suggestion that our highest Court doesn’t actually care about reproductive rights or Constitutional precedent, but rather, is the puppet of abortion clinics is absurd and offensive. The only thing absurd and offensive here is that this is exactly what happened. The suit was brought by Whole Woman’s Health, an abortion chain, and the court ruled in their favor, despite WWH’s nearly ten-year record of lawbreaking, substandard health and safety conditions, and egregious negligence — a record that these “advocates for women” decided was good enough for women. So with neither legal merit nor women’s health justifying the decision, what other conclusion is left than Thomas’s? 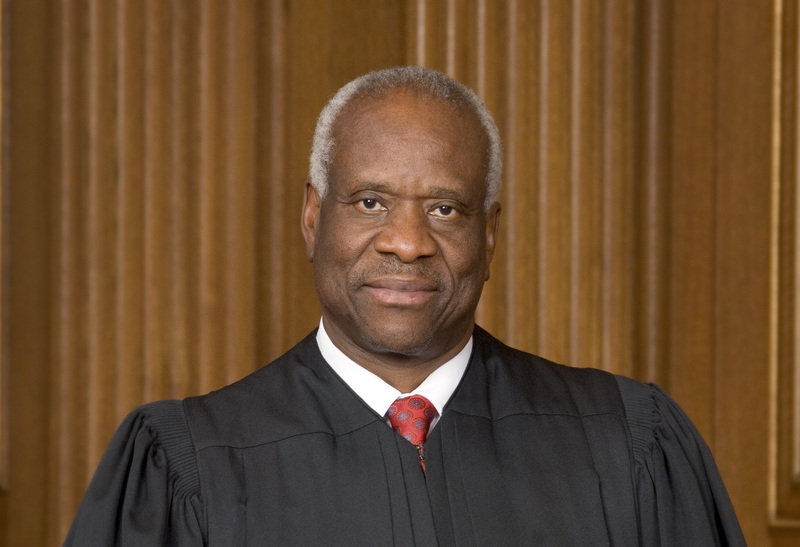 NANOS: You have to respect how Justice Thomas is unapologetic in his hypocrisy. The justice is certainly right that lawsuits require that the plaintiff have proper standing to sue. But questions about abortion have always required a “different approach” because pregnancy is inherently different from other subjects. More importantly, the entirety of pro-life rhetoric is founded on the idea of third-party assertion of rights. Every time state governments reach their legislative hands into women’s uteruses, they justify the intrusion with their obligation to protect the unborn; no clearer assertion of the rights of “others” has ever been made. Allowing women to get abortions only in some absurdly narrow set of equals outlawing abortion. If Texas had legislated in a manner that would close half its gun stores, the Court would likely have found a similar undue burden on the Second Amendment. We’ll get to the “undue burden” test in a moment, but here let’s just note the obvious difference Nanos overlooks: the Second Amendment is an actual part of the Constitution expressly guaranteeing the “right of the people to keep and bear arms,” whereas abortion “rights” are projected into the Constitution based on imaginary “penumbras.” Even if the undue burden test was legitimate, the constitutional right being burdened still has to, y’know, exist. NANOS: Maybe I’m some sort of legal genius, but I’m nowhere near “mystified” right now. I’m not even a little bit confused. The Texas law made it super tough for Texan women to get abortions, mainly in that it closed most Texan abortion clinics. Forcing someone seeking a medical procedure to jump through costly and difficult hoops is pretty clearly an “undue burden” – whether we’re using the plain meaning or the legal meaning of those words. “Some sort of legal genius” who missed two glaring problems with the majority decision. First, the “undue burden” test is a judicial invention rather than a real standard to be found in the Constitution’s text. “Undue burden” doesn’t have a precise legal meaning that can be impartially applied, and it flips the burden of proof from the feds having to prove that their intervention serves a “compelling interest” not otherwise achievable (which is already a departure from Madison’s original explanation of enumerated powers), to the states having to prove they’re playing nice with the judiciary’s favored legal fictions such as Roe v. Wade. First, today’s decision requires courts to “consider the burdens a law imposes on abortion access together with the benefits those laws confer.” Second, today’s opinion tells the courts that, when the law’s justifications are medically uncertain, they need not defer to the legislature, and must instead assess medical justifications for abortion restrictions by scrutinizing the record themselves. Finally, even if a law imposes no “substantial obstacle” to women’s access to abortions, the law now must have more than a “reasonabl[e] relat[ion] to . . . a legitimate state interest.” These precepts are nowhere to be found in Casey or its successors, and transform the undue-burden test to something much more akin to strict scrutiny. Nanos says she’s “not quite sure what Justice Thomas finds confusing about that.” Well, reading the justice’s extensive elaboration of his above three points probably would have cleared that up. Try as they might, abortion apologists cannot change the reality that yesterday’s ruling was rank political manipulation masquerading as law. Abortion-on-demand began in this country with judicial malpractice, and judicial malpractice continues to keep it alive.